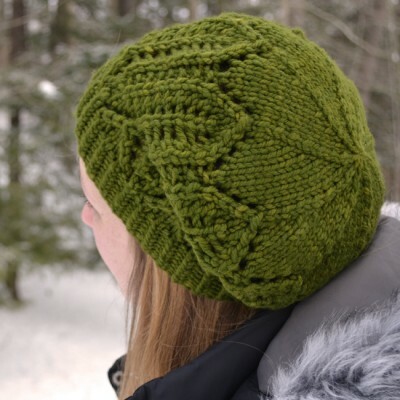 With a lace pattern inspired by the pine cones that adorn the boughs of our graceful evergreen trees, the Hemlock Ridge Beret will keep you warm and cozy on any midwinter stroll through a piney woods. One size. 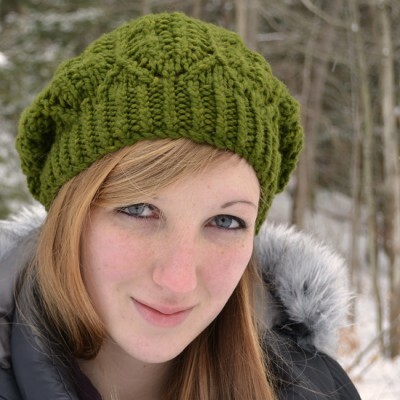 Beret fits an adult head size of approximately 21” – 23” (53 cm – 58 cm). Blocked beret circumference is approximately 31” (79 cm). Using larger-sized needles, 14 sts/18 rnds to 4” x 4” (10 cm x 10 cm) in stockinette stitch, unblocked. 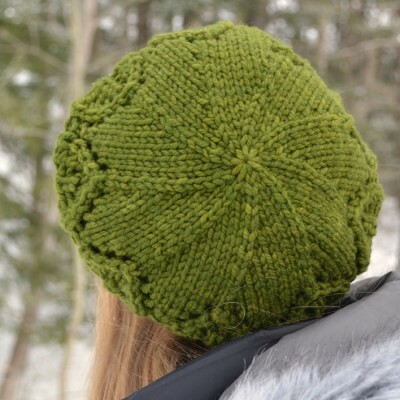 The Hemlock Ridge Beret is knit in the round from the bottom up. 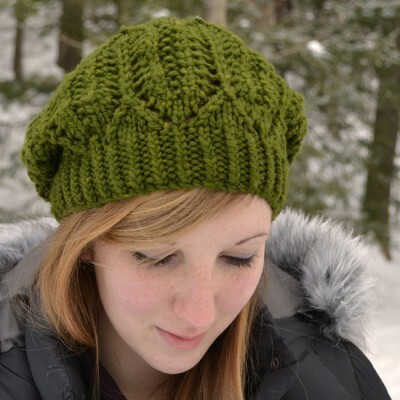 Blocking is especially essential for a successful finished project with this pattern. The lace will really open up when blocked and the finished circumference/dimensions will be significantly larger than before blocking. 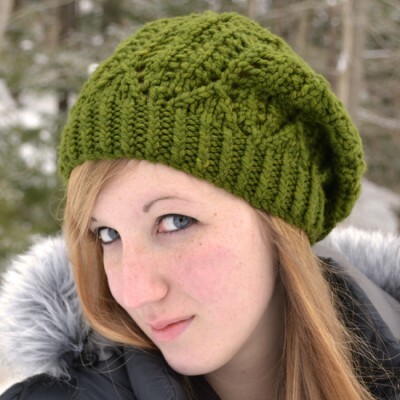 105 – 110 yards (96 – 101 m) of bulky weight yarn. 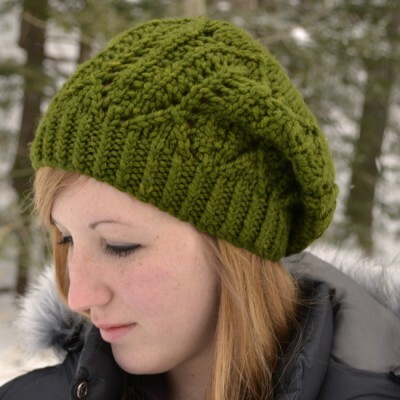 A bulky weight yarn with good stitch definition and little to no halo is recommended. Slight tonals will work, but variegated yarn will distract from the lace pattern. US 10.5 (6.5 mm) 7” (20 cm) double-pointed Or any size needed to obtain correct gauge.